In other news, I have two more talks coming up: Tips and Tricks for Parenting Teens in the Tech Age in December and The Internet, Social Media, and Mental Health: The Wild, Wild, West of Ethics. Very excited for these ventures! As I’ve been prepping for the ethics presentation, I’ve been trying to look for ways in which a therapist could use Tumblr and stumbled across “Positivite Doodles” on Tumblr. 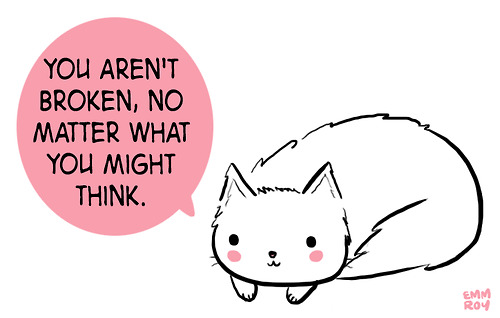 I am all about the positivity kitty!